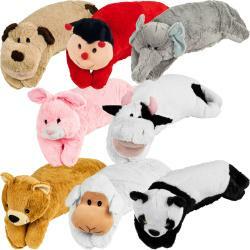 Pillow Pet Sleeping Bags only $10 Shipped! You can get Pillow Pet sleeping bags for just $10 shipped from Overstock.com! These regularly cost $32.99. NOTE: Your credit voucher may not be redeemable until the day after you purchase it, but the Overstock sale lasts all week, so you'll have plenty of time to use it!